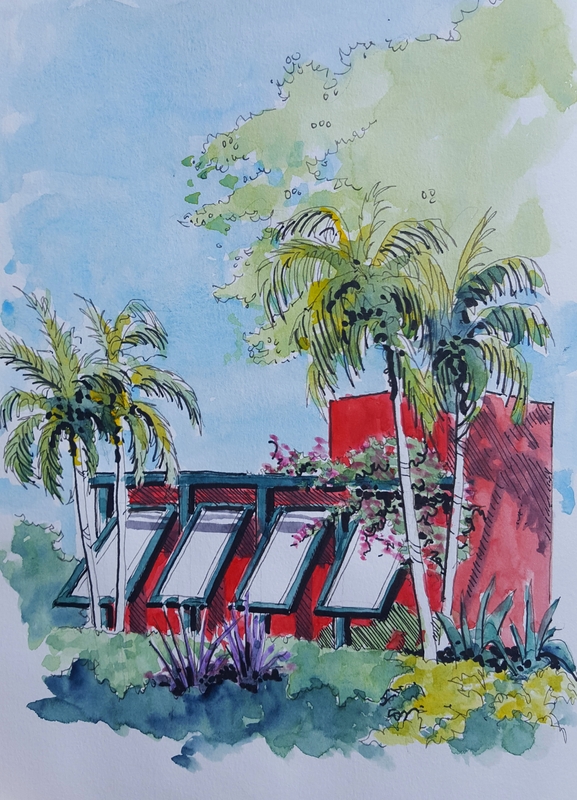 A watercolor sketch of a colorful building with a great courtyard. 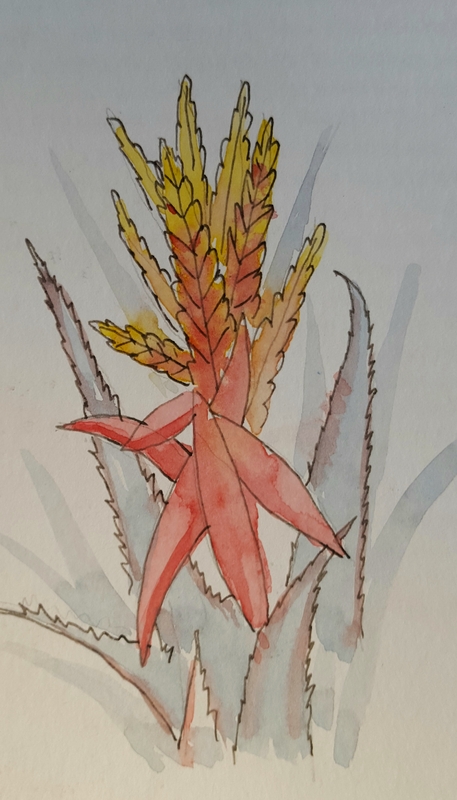 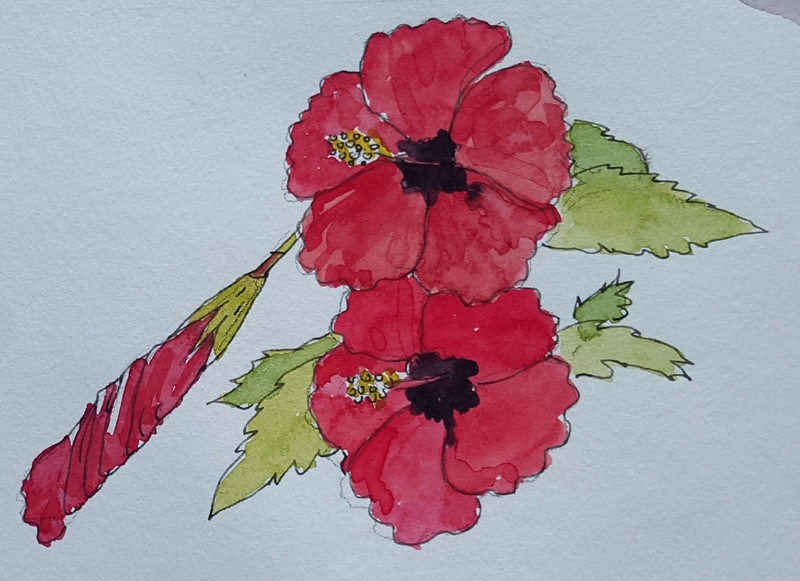 A quick watercolor of spotted cactus like flower near the driveway of the house we are renting. 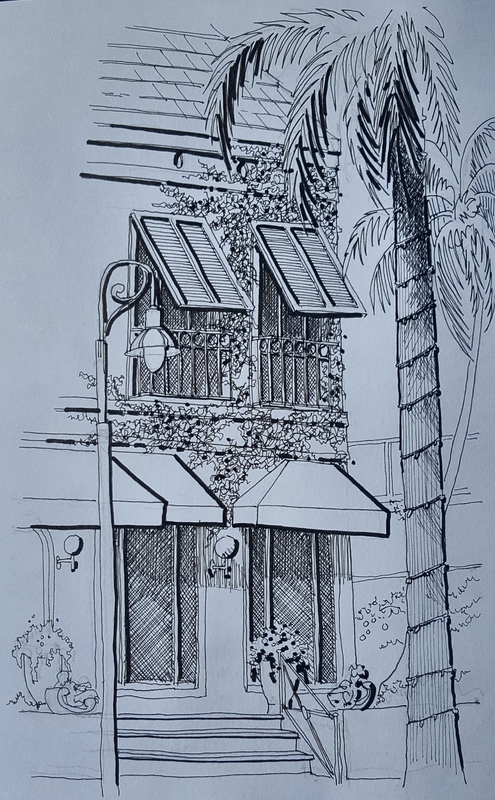 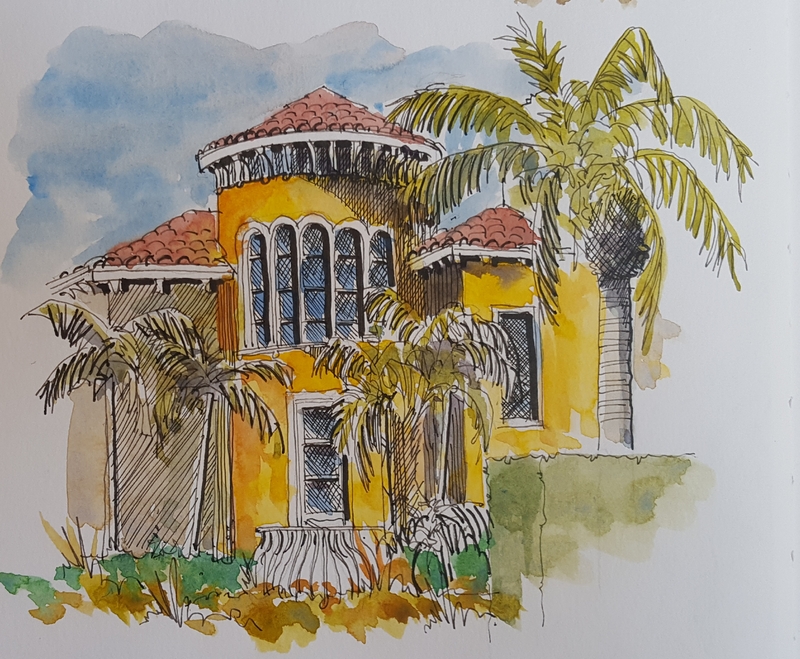 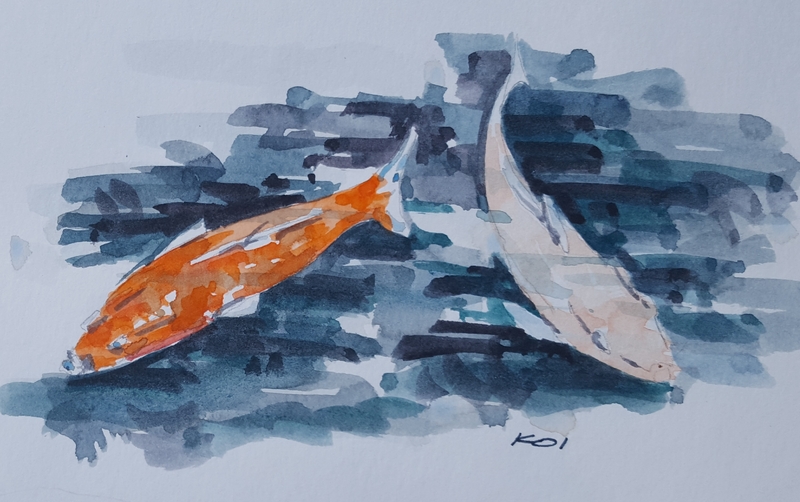 A watercolor and ink sketch of a house on Lake Drive and Naples Beach near the Beach Club.